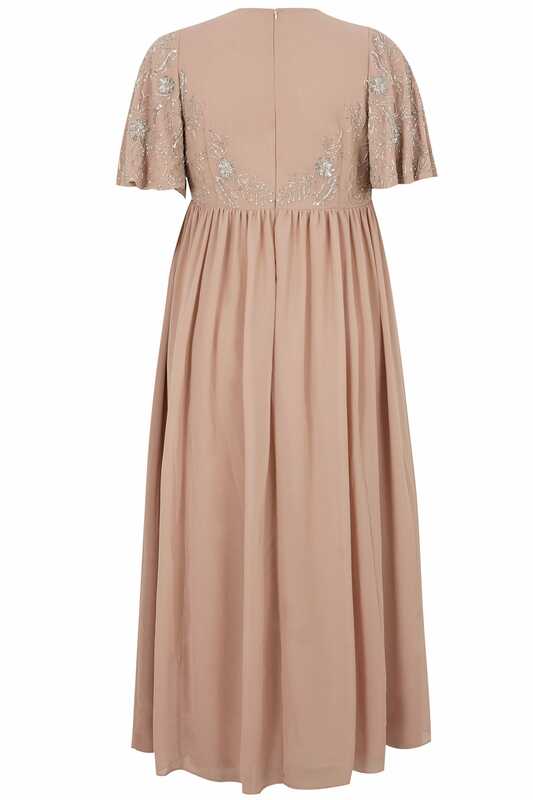 Woven from an elegant chiffon fabric, this floor-skimming maxi dress features a flattering ruched waistline with beaded embellishment to the bodice and delicate angel sleeves. 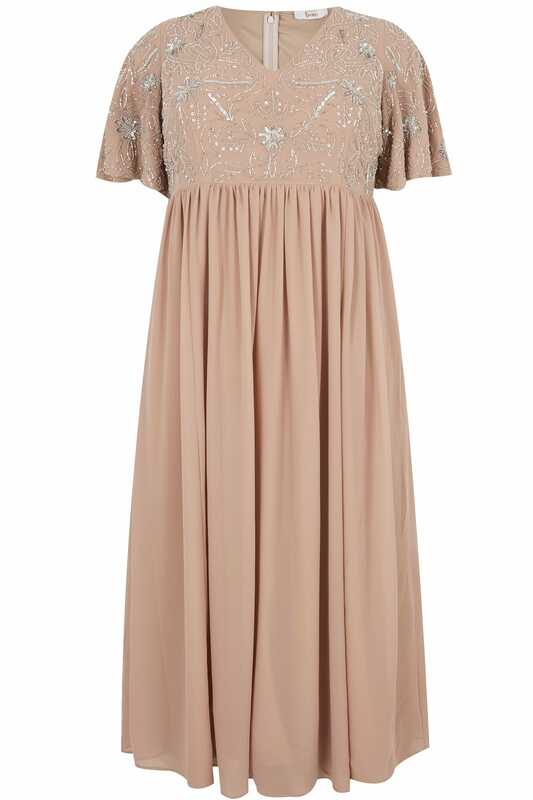 Perfect for parties and special occasions, this feminine design is at the top of our occasion-wear wish list. 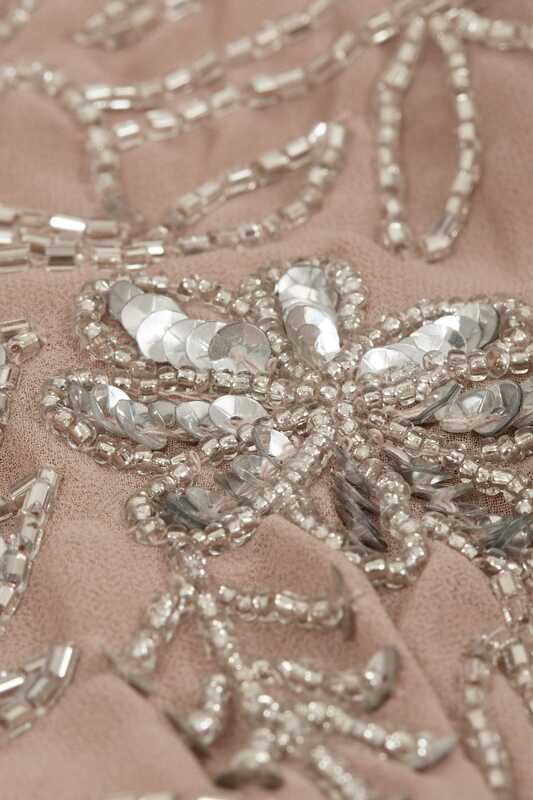 We love sparkling embellishment and on-trend colour palette.